A global directory of au-pairs, nannies, host families. The au pair agency provides a 'job matching platform' for families to find suitable and affordable caregivers. An independent Rotherham based recruitment agency specialising in the supply of temporary or permanent staff. Executive recruitment services in Bolton and Leeds. Construction jobs and building services recruitment throughout the North West. Additional specialisation in M&E vacancies and Public Sector. 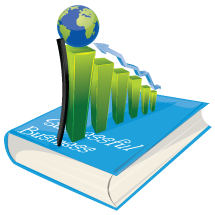 Business to business sales recruitment provided by Panacea Selection Ltd. Based in South West and the Midlands UK. Global SAP professional resourcing agency dedicated to candidate success and client satisfaction. Offers permanent and contract SAP recruiting services across all SAP technologies and sectors. SAP recruitment specialists providing leading resource solutions for 18 European countries.